Business is BOOMIN’ for Antonio Brown — because he just won … A BRAND NEW CAR … courtesy of Brandon Marshall. 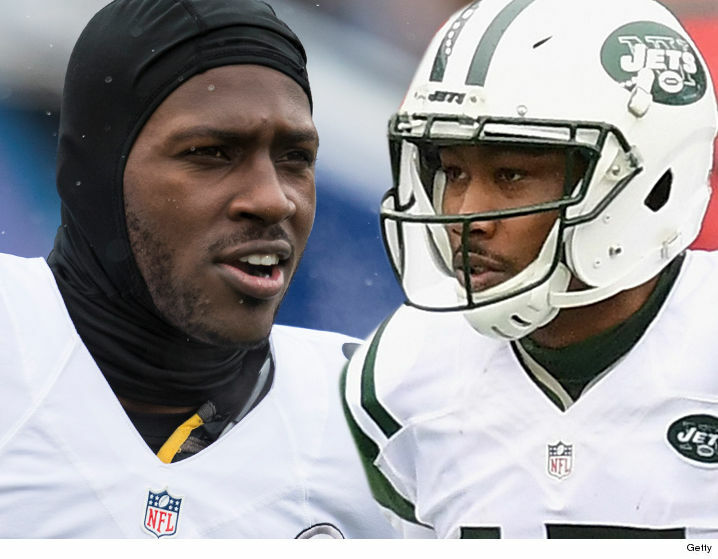 Remember back in July, the NY Jets WR bet his prized Porsche against Brown’s Rolls-Royce that he would end the 2016 NFL season with more receiving yards than AB. Well, here we are going into Week 17 … and Brown has a 496 yard lead. Don’t worry, Brown has a plan for Marshall — “You could send me the pink slip, or donate the car to @PROJECT375!” (It’s an organization dedicated to eradicating the stigma surrounding mental health). We’re guessing he takes door #2.